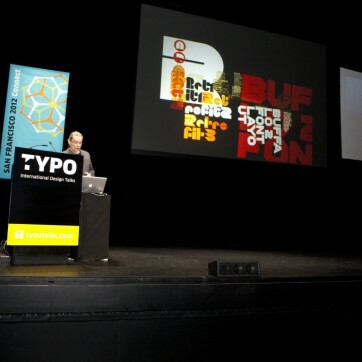 TYPO San Francisco 2012 took place in the Yerba Buena Center for the Arts (YBCA) April 5–6, centering around the theme Connect. 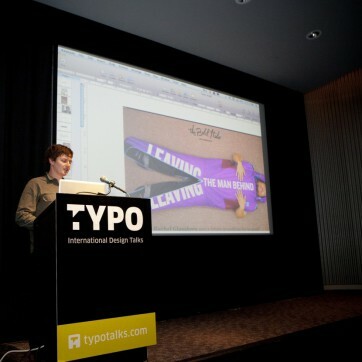 The FontShop San Francisco team thoroughly enjoyed organizing this amazing conference. This video recaps how much fun we had with the fantastic speakers and attendees from all over the world. 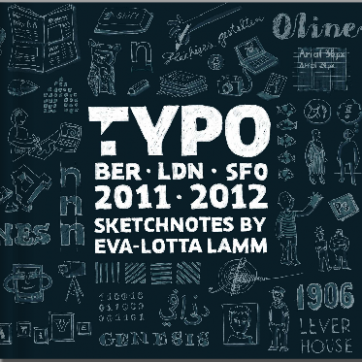 Der Ein oder Andere hat auf unserem Facebook-Account schon ein kleines Preview-Bild erhaschen können, doch jetzt ist es offiziell: das erste TYPO-Sketchnotes-Buch von Eva-Lotta Lamm ist fertig. Die User Experience Designerin aus London hat vor einigen Jahren das Illustrieren von Vorträgen für sich entdeckt und perfektioniert. 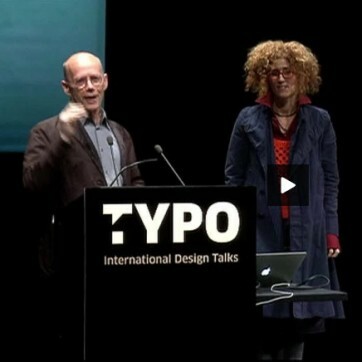 The talks from Tina Roth Eisenberg, Joshua Davis and Mike Monteiro are now available at www.typotalks.com/video. The presentation from Khoi Vinh will be up shortly. Neville Brody doesn’t want you to think outside the box: it would appear he’d prefer you do something like tear it up, tape it back together, spray paint it, wear it as a hat, and then throw it out. 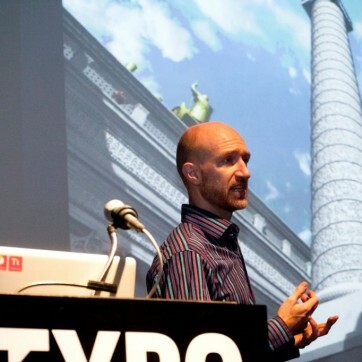 Brody wants designers to decide what to do with their own boxes. Since we’ve moved from a physical to digital space, Brody feels that experimentation has given way to an engineering approach. 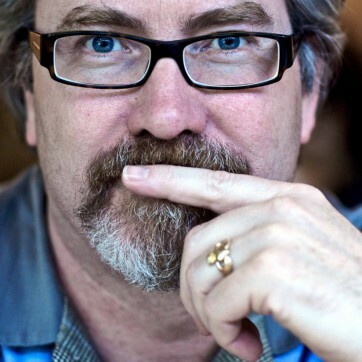 “Facebook feels very much like a grown up version of AOL.” The world starts to look the same. When Mike Monteiro and Erika Hall cofounded Mule Design, neither of them knew anything about the business of design — that is, how to sell it to and deal with clients. They made plenty of mistakes, so he’d like to tell you a few things to avoid in your career as a professional designer. New Bohemia Signs proprietor Damon Styer led a hands on workshop Friday morning teaching the technique of lettermaking using a quill brush. Instruction began with starting and finishing simple strokes, and then with practice, the construction of an all caps gothic alphabet. A few years ago Yves Peters noticed a demand from people to know what typefaces are being used on movie posters. 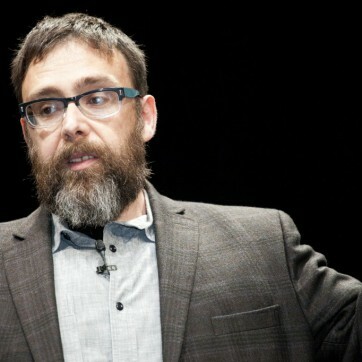 So he started blogging about it on the FontFeed blog. When you start looking at movie posters all the time, you start noticing some pretty major trends. If the movie is a comedy, it will most likely include large, chubby red or blue type. If it’s a romantic comedy, the font will mostly likely be serif. Indie films? 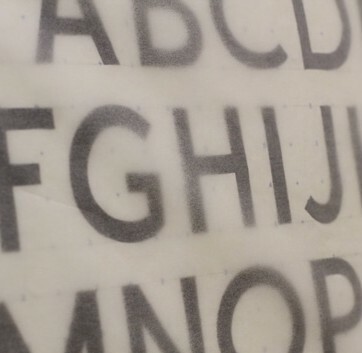 More than likely you can expect some sort of hand-rendered Helvetica or Gotham. But, Yves notes, all type aside, if there are two people laying in bed on the movie poster. You can almost be guaranteed there won’t be any action. First of all, I think you need to know that, by his own admission, Heath loves the word “verdant.” Because he likes green, growing things. 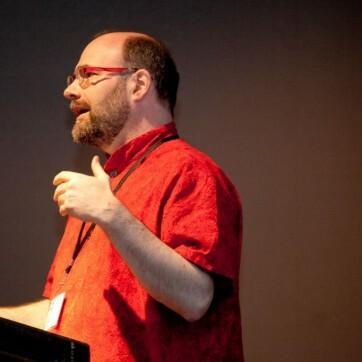 In fact, as attendees of his session discovered, he seems to like vibrant, growing, dynamic things of all types. Especially when they involve community, creativity, and the ways people can nurture both by diving further into their neighborhoods, learning more about the people around them. 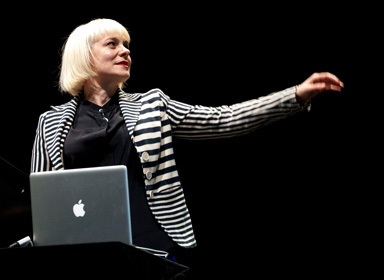 Morag Myerscough talked about many things today. Among these a common point that she came back to was her various obsessions. These obsessions are important because they are what ended up being the definitions of her own style. Which when you think about it makes sense. Michael Johnson set up his presentation today by giving us an outline of what he was going to be talking about. Going from a brief history and overall philosophy of PIXAR to how they work and function as a studio. He delves into how PIXAR started as a spin off of Lucas Film, and eventually merging with Disney. When you’re in the same room as the guy who designed the Rolling Stone logo, you know it’s going to be a great afternoon. And just to clear the air, Jim Parkinson says the Rolling Stones are just as wild as they were portrayed to be. And more so.